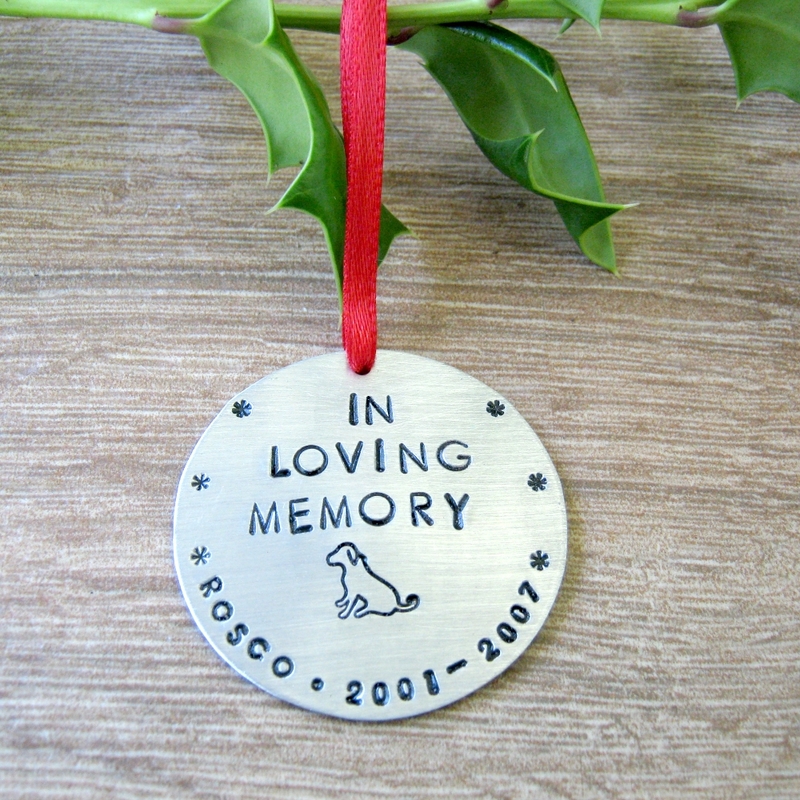 Sometimes the loss of a pet can be made just a little easier with a keepsake. 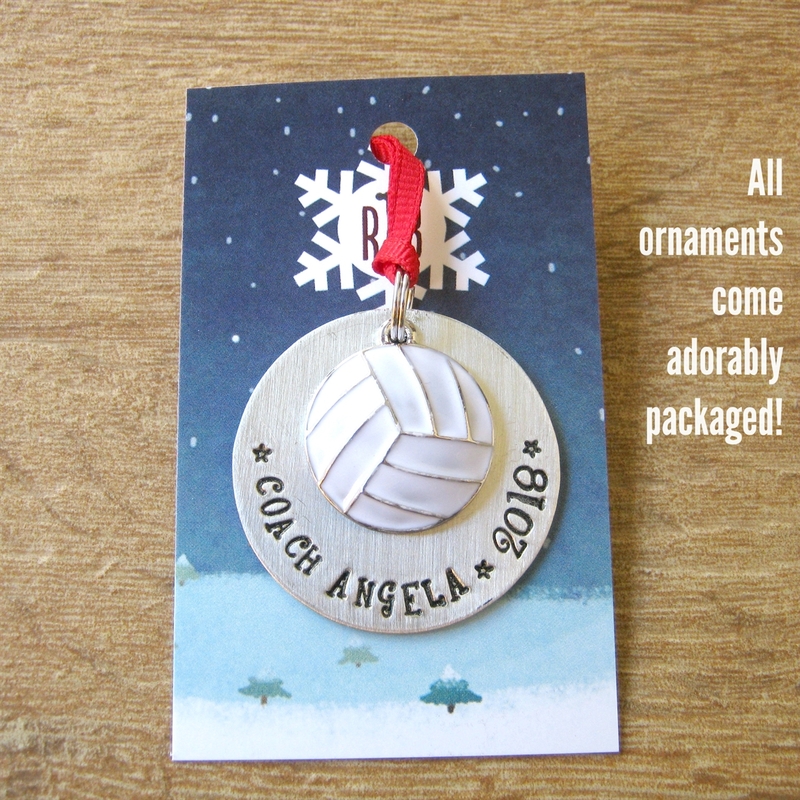 Each ornament is hand stamped, letter by letter, on a 1.5" nickel silver disc with a red ribbon for hanging on the tree. 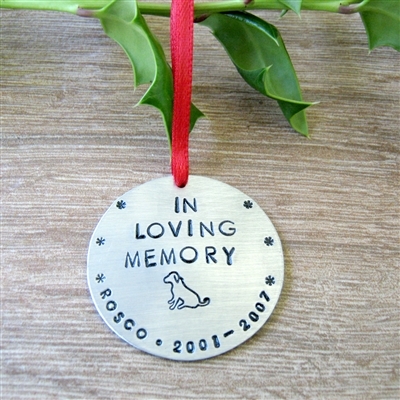 This particular design has 'IN LOVING MEMORY' in our Deco Upper font and a dog stamp, #104, stamped beneath it. Along the edge of the disc is the dog's name and years lived. 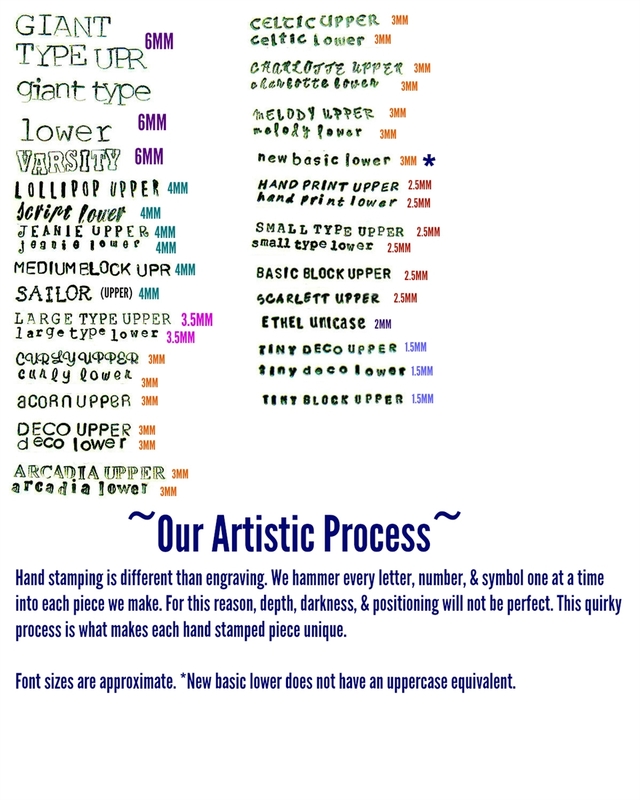 I can fit about 47 characters around the edge using the smallest font pictured. 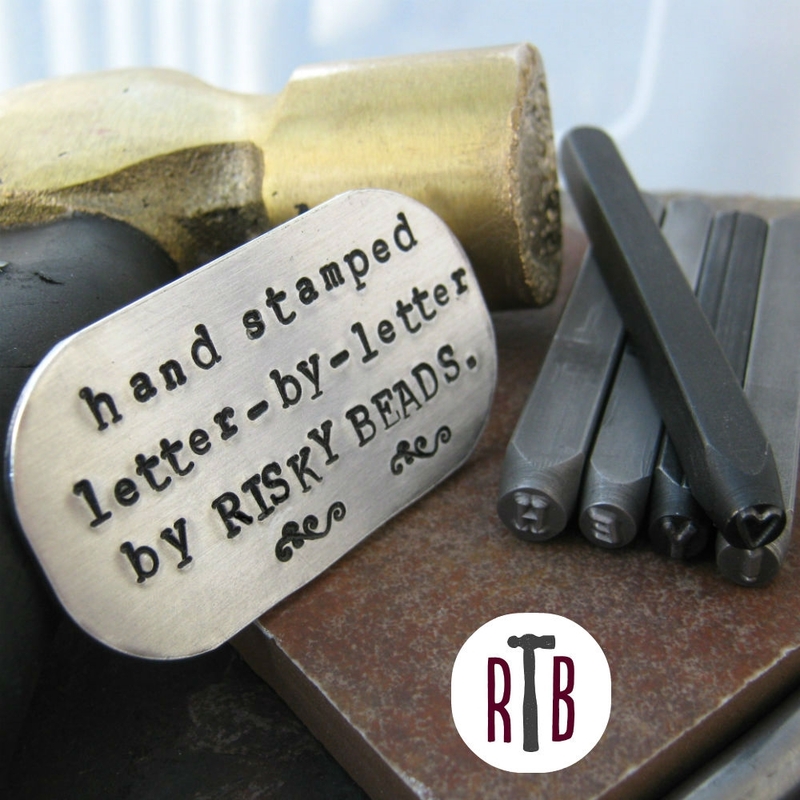 Each piece is hand stamped letter by letter, symbol by symbol with a hammer. No machines are used. 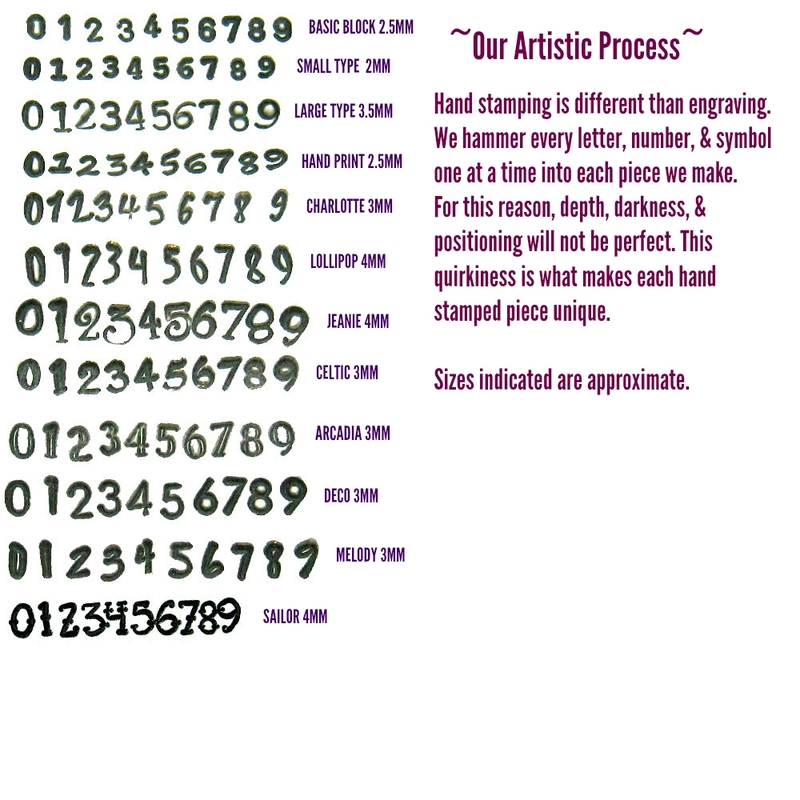 Hand stamping means that letters/symbols will never be completely straight, perfectly positioned, or of equal depth/darkness. These features are not a flaw in the work but rather what makes each piece uniquely yours! We use up-close macro photography to capture detail for all of our listings. As a result, pieces may appear larger than they actually are. 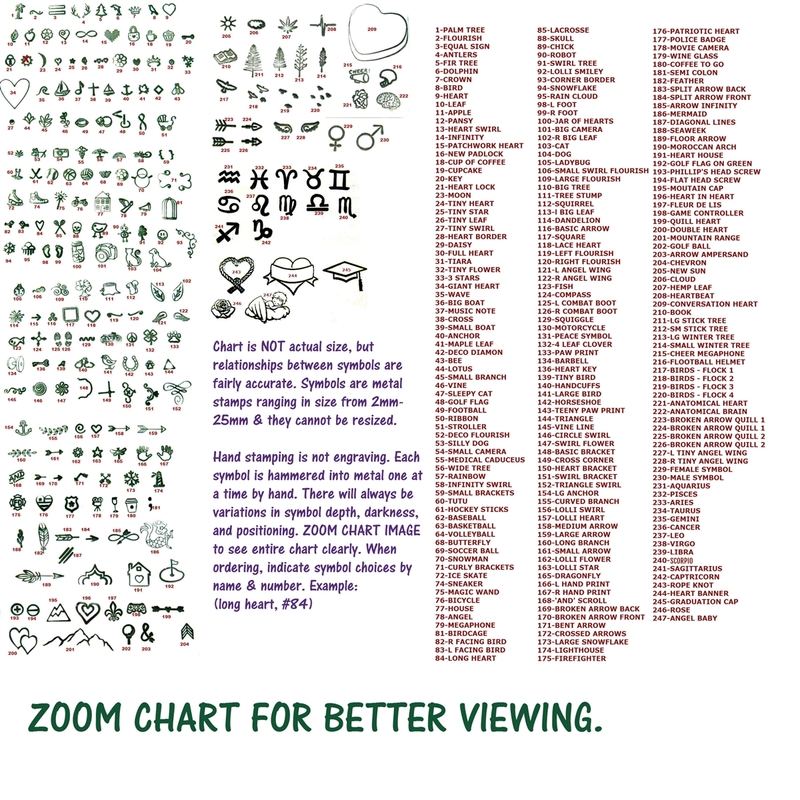 Please read the actual dimensions of each piece in the item description and view all photos for scale. 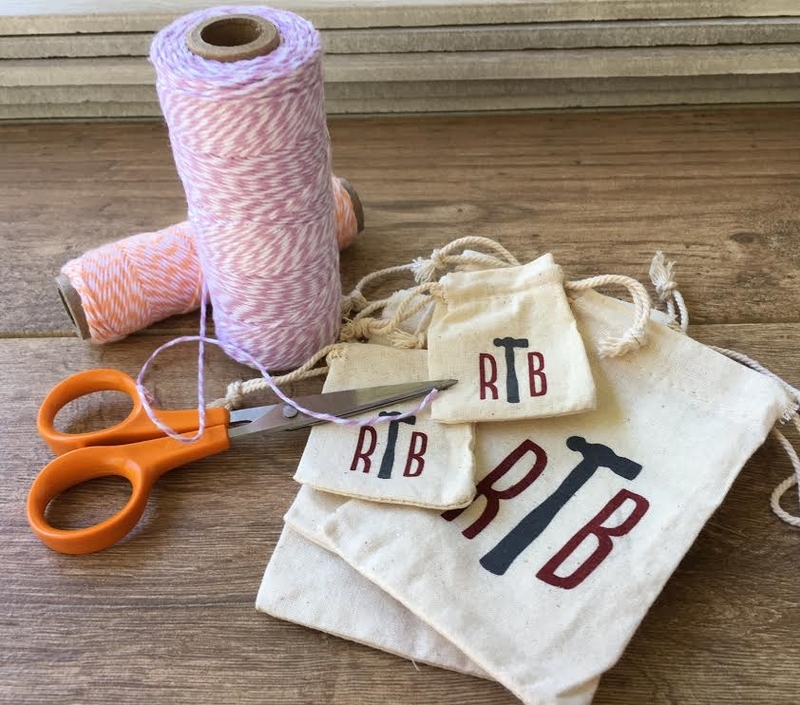 Comes packaged in a Risky Beads gift bag!